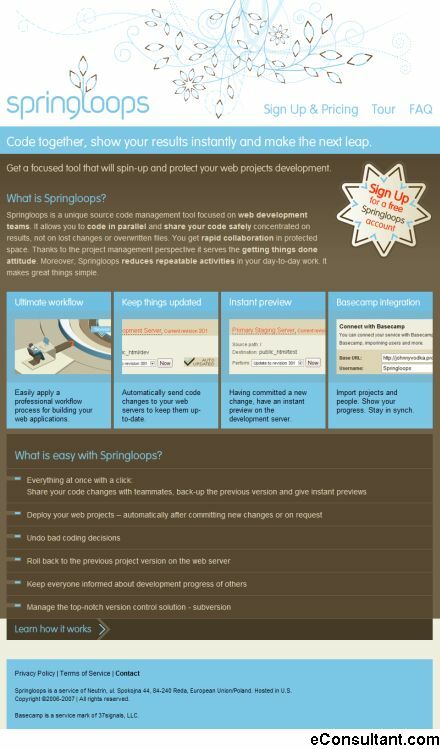 Description : Springloops is a unique source code management tool focused on web development teams. It allows you to code in parallel and share your code safely concentrated on results, not on lost changes or overwritten files. You get rapid collaboration in protected space. Thanks to the project management perspective it serves the getting things done attitude. Moreover, Springloops reduces repeatable activities in your day-to-day work. It makes great things simple.